English players came to the fore during the county season, with impressive returns from Surrey's Sam Curran and Rory Burns earning the pair Test call-ups and Kent star Joe Denly's all-round white-ball efforts seeing him brought into the international limited-overs team. Surrey began their season relatively serenely, beating Hampshire on the opening weekend of the Championship before playing out draws against Lancashire and Worcestershire. Captain Burns was in scintillating form against Worcestershire, hitting 193 runs off 408 balls as he made his first score over 50 of 2018. 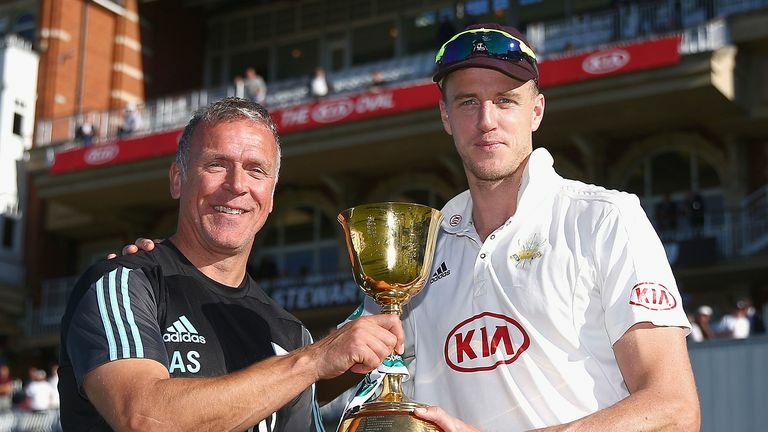 As the London club enjoyed an unbeaten start to the season, they welcomed Morne Morkel into their ranks after the South African fast bowler's international retirement. The 35-year-old settled into his new surroundings quickly, needing just six innings to pick up his first five-wicket haul, while Burns continued to churn out impressive innings as he struck his second score over 150 in three red-ball matches - with number two coming against Hampshire in Southampton. 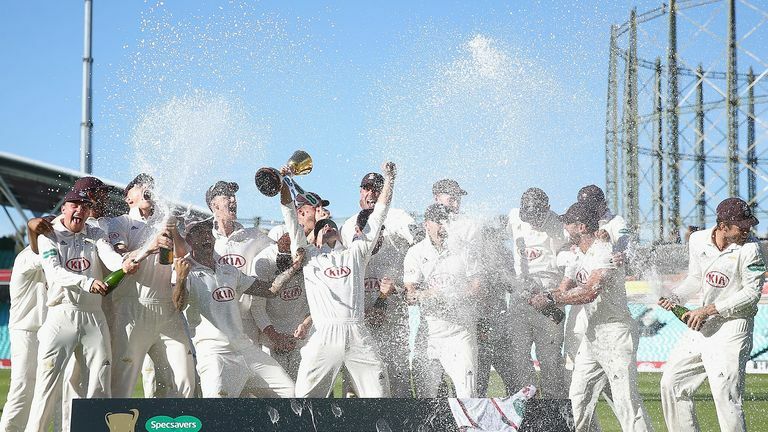 Despite losing Sam Curran to an England call-up during the middle part of the summer, Surrey continued to power their way to victories, pulling off nine-consecutive Championship wins as they sealed their first Division One title since 2002 with two matches remaining. Over the course of 14 games, Burns scored four hundreds, seven half-centuries, amassed 1,359 runs and finished the top run-scorer during the season. Ollie Pope also impressed, hitting four centuries of his own to end the season with 986 runs. Morkel was an equally important piece of the puzzle and although he played just 10 matches he picked up 59 wickets, just five fewer than top wicket-taker Tom Bailey of Lancashire who bagged 64. A final-match loss to Essex at the Oval denied Surrey the opportunity to wrap up an unbeaten season but they finished 46 points ahead of second-placed Somerset, proving they will be a dangerous red-ball outfit for some time to come. In comparison, Lancashire's batting woes were decisive in seeing them relegated from the top flight for the first time since 2015. 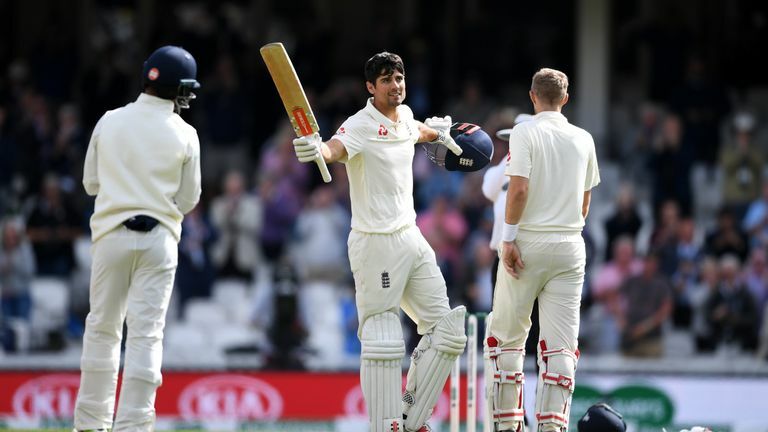 They failed to pass 200 in 10 of their 23 Championship innings, while only one of their batsmen - England opener Keaton Jennings - ended with an average above 40 in the four-day game. Seamers Bailey and Graham Onions (57) finished as the first and fourth leading wicket-takers in the division, but it was their batting struggles that contributed to the Red Rose's relegation alongside Worcestershire. In Division Two, Warwickshire needed just a solitary season to return to Division One as they battled it out with Kent to finish at the top of the table. The Bears beat their second-tier Championship rivals on the final day of the season to be crowned champions as the pair were promoted. Warwickshire batsman Ian Bell topped the run-scorer's list, hitting five centuries to finish the season with 1,027 runs from 14 matches, while Kent's Matt Henry was the top wicket-taker with 75 scalps. 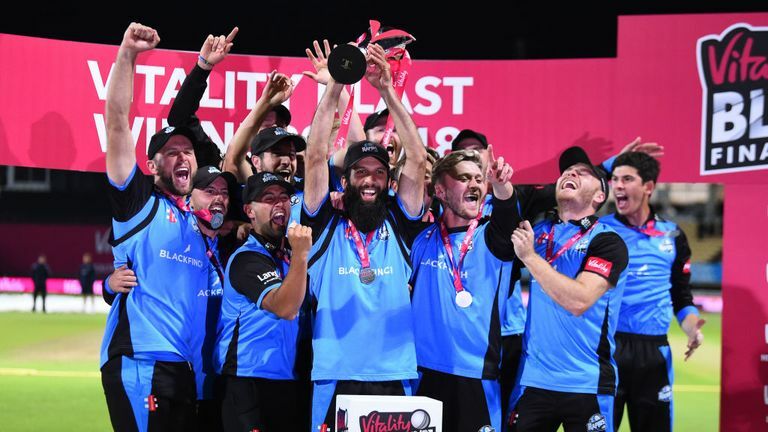 Hampshire picked up the first silverware of the season as they lifted the One-Day cup for the first time since 2012, cantering to a 61-run victory over Kent in the final. James Vince's side proved to be a strong outfit during the group stages in the South Group, winning five of their seven completed matches, despite overseas batsman Hashim Amla managing just one half-century in the three matches he played. Spinner Mason Crane played an important part throughout the tournament, claiming 15 wickets, and Vince smacked 527 runs in nine innings but it was Rilee Rossouw's 125 in the final that gave Hampshire their fifth one-day title. Meanwhile, in the Vitality Blast, masterful young bowler Pat Brown announced himself to the wider public as his 31 scalps led Worcestershire to a first 20-over title in their history. The Rapids picked up nine victories from their 14 group matches, topping the North Group ahead of Durham before easing to a five-wicket quarter-final win over Gloucestershire, as overseas batsman Callum Ferguson hit an unbeaten 64 off 47 balls. At Finals Day, captain Moeen Ali (41) and wicketkeeper Ben Cox (55 not out) shone to help their side put up 169-6 in their semi-final against Lancashire before Brown picked up 4-21 to dismantle the Red Rose's lower order and help restrict them to 149-9 in reply. Then, against Sussex Sharks in the final, Ali shone first with ball (3-30) and then with the bat (41 off 27 balls) as Worcestershire's youthful side chased down 158 with nine balls spare to earn a five-wicket win in style. There will be plenty of changes when the new season begins in April 2019, with former England captain and batsman Alastair Cook returning to Essex following his international retirement during the summer. Meanwhile, Durham will have a new head coach after Jon Lewis left the county following 22 years with the club to take over as Sri Lanka's new batting coach in December 2018. Plus, former Glamorgan captain Mark Wallace will take over as the county's new director of cricket having retired from playing in February 2017.